Become a Member or a Volunteer! 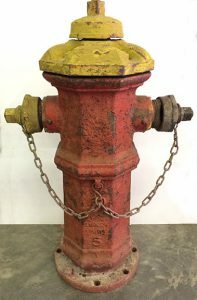 Your adoption fee will see that an unrestored hydrant, like this one, can be blasted and re-painted in original colours! Adopt a Fire Hydrant! You can adopt a fire hydrant and see that it is restored to its original look complete with polished brass and original paint colours. No, you can’t take it home! …but we’ll add a brass tag with your name or the name of your beloved pet. Or, perhaps you would like to honour your favourite firefighter? More information. You can even come in and choose the hydrant you like. Only $250.